The arts provide the prism through which we can first envision, and then build, a better and more just world. We all want to see ourselves reflected – on stages, in stories, in CEO suites. The arts industry, like so many others, has a long history of prioritizing homogeneous leadership and perspectives. For those of us who value the vital perspectives of women and people of color, the enormity of the task at hand can be nearly incapacitating. For years, I was hamstrung by this perspective – and I wasn’t alone in that sense of malaise. Knowing with absolute certainty that we can’t wave our wands and fix everything, it can feel more comfortable to attempt nothing – to begrudgingly tolerate the status quo and wait for the day when the stars magically align and we suddenly feel empowered to create the change we want to see. What I’ve come to realize is that the very act of naming a problem out loud and publicly committing yourself to moving toward a solution can be what causes that sense of alignment. The time is perfect when you take action, not the other way around. Our power together – the brilliance of our shared light – is equal to the task at hand, and the caliber of mentors and advisors that form the Spotlight Team is a testament to the timeliness and utter necessity of our mission. Our mission – our way to bring light to the darkness – is to identify, nurture, and empower leaders, and in turn, to illuminate the path to a more equitable future in the arts. We offer mentorship by and for exceptional women, people of color, and other equity-seeking groups, with a particular interest in supporting artists who are using their talents and skills to strengthen their communities and pursue social justice. Our top-tier mentors are singing lead roles at the Metropolitan Opera, developing permanent exhibitions at the Smithsonian’s National Museum of African American History and Culture, and using their art in collaboration with science to educate audiences about sustainability. They are experts in an array of artistic fields who will act as sounding boards and storytellers. We expect that each of our Fellows will emerge from this season-long mentorship with a clearer picture of what lies ahead, and a deeper well of fuel to get there. Nearly all of our first cohort of Fellows have founded organizations, produced or commissioned new work. Each has a distinctive voice and clear personal mission, and they’ll be collaborating on a striking breadth of projects, including building community investment in arts entrepreneurship, developing a line of gender non-binary swimwear, and confronting personal violence through performance. We believe these versatile and inventive arts leaders and activists are the way forward, and we are immensely honored to be able to share their continued growth with you. Meet our 2018/19 Fellows in the gallery below! An American immigrant from Armenia, Anush believes that art does not discriminate. "No matter where you are from and what challenges your life has presented, art is there to transform it into something potentially beautiful. And ultimately, into something others can relate to, allowing empathy to grow." Lucy is founder of Resonant Bodies, a festival of contemporary music that invites vocalists to curate their own 45-minute sets in the United States, Canada, and Australia. "With my festival, I am creating a platform for artists to have autonomy, respect, and a place for growth – a place to direct the narrative about who they are at this artistic juncture. I don’t want to just hope for a better future – I want empowerment." Teagan is founder of the Red Shoe Company, a collective that combines music, dance, visual art, and scientific discovery to educate and engage Midwestern audiences. "I believe we are all here to serve our community. Originally, I assumed an artist's main job is to put out happiness and creative thought into the world. Now I believe that the arts are responsible for encouraging critical thought. Giving everyone an opportunity to learn the basics and to feel like they have the knowledge to enjoy art gives our community more opportunities to come together as one body of people." Jamil is a director and producer who believes in using his art to actively challenge, heal, affirm, and empower his community. Andrew is the founder of DC Strings, which strives to prove that access to excellence in music is an essential human right. Felicia values visibility and representation – on- and off-stage. 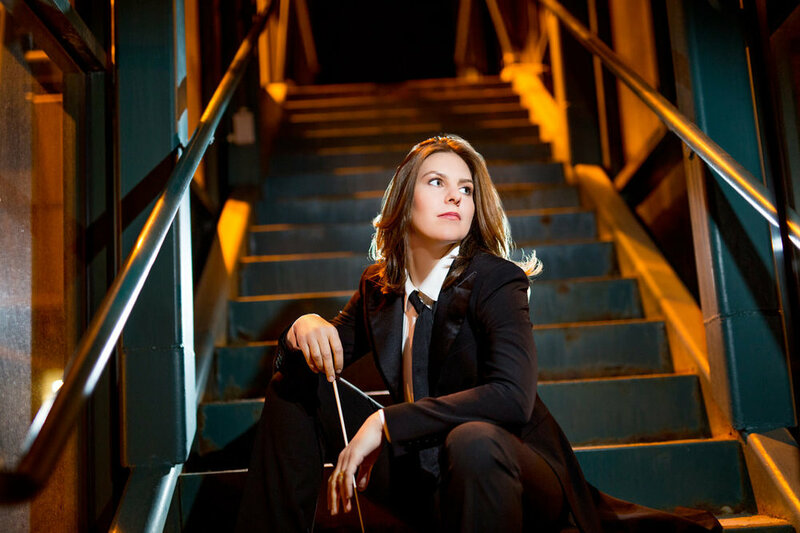 Frances is a composer whose music examines social issues through collaboration outside of traditional academic circles. 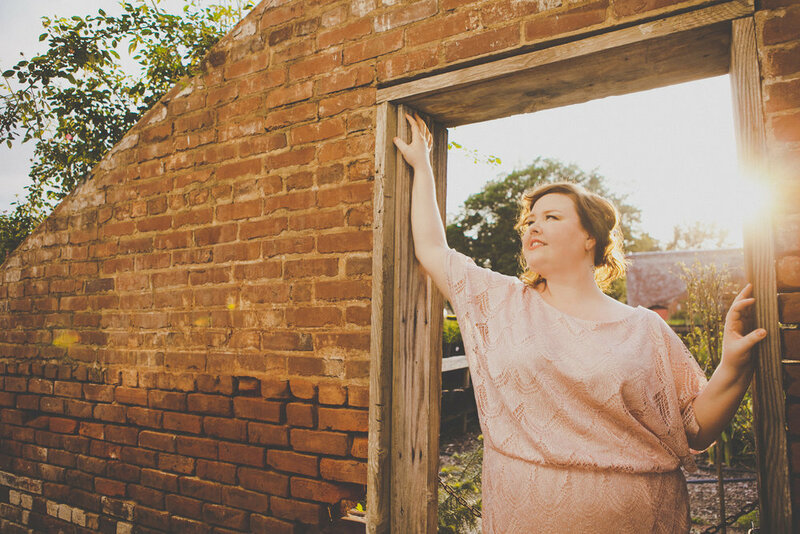 Rehanna is a mezzo-soprano who believes storytelling is a form of therapy, and that live performance can help audience members experience their world in a new way. Elena and Melissa are the founders of Intermission, a company that teaches musicians yoga techniques to support the demanding physicality and emotional undertaking of performance. "As artists, we understand intrinsically that what we do effects positive change in the world at large. But without knowing how to refuel ourselves after giving so much to our audiences, the demanding lives we lead can begin to present major personal challenges. With Intermission, we hope to teach self-compassion, gentleness, and body awareness – allowing artists to nurture positive change within themselves that they may then radiate outward into the world." "Mentorship is one of the most powerful tools for raising up the next generation of leaders and artists. If you're lucky, you'll happen upon a mentor who's experienced, knowledgeable, and willing to guide your steps. Turn the Spotlight offers that kind of mentorship and guidance without waiting for luck. This program will be transformative." “The arts provide the prism through which we can first envision, and then build, a better and more just world. To deliver on this, our talent pipelines and cultural institutions — our arts delivery systems — must champion equity and offer radical welcome to those who have historically not been invited in. By throwing the doors wide open, the most promising previously unheard voices will be encouraged to join, even lead, the table. And make no mistake: it will take all voices to create real transformation. “It’s so important to support the voices of people – and the ideals – we believe in, and we’re living in an age in which personal attention can feel like a luxury. I’m so proud to be part of Turn The Spotlight, which is actively working toward creating a more equitable future in our industry by fostering the strong and diverse voices of individuals who clearly have incredible contributions to make."